This period following the Second World War saw rapid road construction that relied on standardized plans. This changed the face of Texas’ highways and roads. With the enactments of the Federal Aid Highway Act of 1944 by the U.S. Congress and the Colson-Briscoe Act by the Texas Legislature in 1949, new funding became available to increase road construction in Texas. The Federal Aid Highway Act of 1944 also designated a new road system to connect major cities with industrial facilities and military installations across the country. During this time, engineers made major strides in highway design, including the creation of controlled-access highways. Agencies such as the Texas Highway Department (THD) discovered deficiencies with previous highway designs, which led to many roadway upgrades in the post-World War II boom period. In urban areas, road designers opted for rigid pavement despite its cost, because it required little to no maintenance and could last 20 to 40 years. THD still faced a shortage of supplies, and they avoided using high quantities of steel because it was expensive. This led them to the development of two new reinforced concrete bridge types, the pan-formed girder bridge and the FS slab bridge, because they required little steel. Many of the highways formerly named and promoted by private road associations were upgraded and integrated into new numbered state highways, such as State Highway (SH) 1, formerly known as the Bankhead Highway, SH 2 (Meridian Highway), and SH 3 (Old Spanish Trail). Controlled-access roads were designed to limit accessibility to property along intersecting roads and intersecting roads. 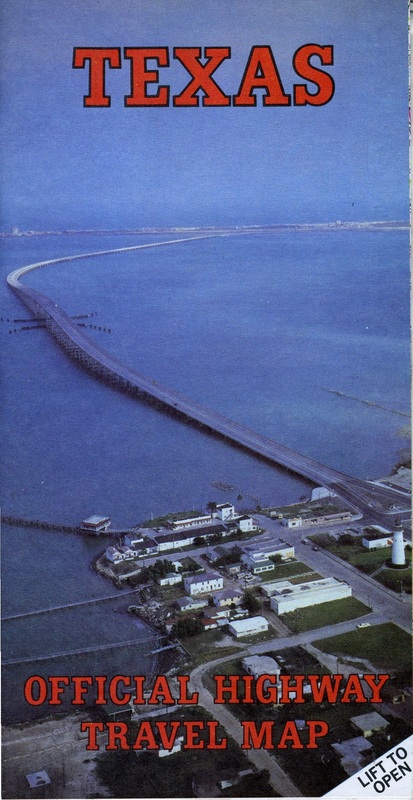 Following construction of the Gainesville Freeway, THD built the Gulf Freeway in 1948 between Galveston and Houston and the Dallas-Fort Worth Freeway in 1949. THD upgraded many two-and roads to four-lane facilities, built many controlled-access thoroughfares, and expanded the farm-to-market road system; when it was completed, roughly 60% of the state’s rural residents lived within a mile of a paved road. 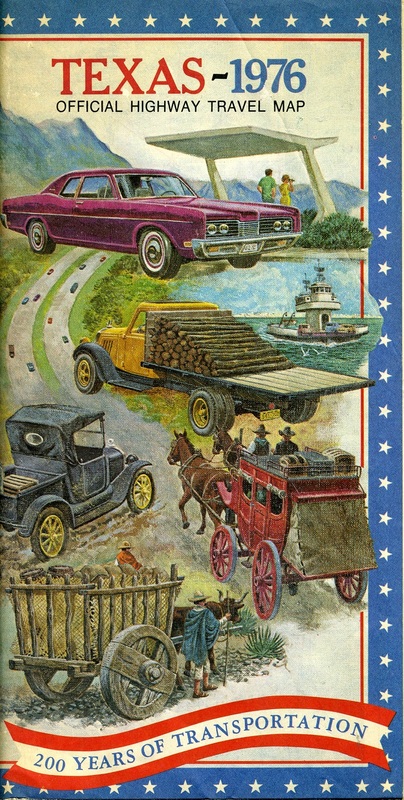 Between 1957 and 1980, federal and state transportation agencies began planning, designing and constructing the Interstate Highway System that was authorized by the Federal Highway Aid Act of 1956. The mass production of steel and concrete enabled substantial road improvements, and engineers worked to upgrade and build new farm-to-market roads. To avoid purchasing new right-of way or constructing new corridors, THD and other transportation agencies built most of the interstate highways and intrastate freeways on existing roads. Many older highways were subsumed into larger highways or partially abandoned; some segments of these older highways still exist along old roadway alignments. The original named highways, which had become part of the state highway network, were now incorporated into the interstate system. Parts of the Bankhead Highway became Interstate Highway (IH) 20, sections of the Meridian Highway were integrated into IH 35, and segments of Old Spanish Trail became IH 10. For Texas engineers, frontage roads were central to interstate highway designs. This differed from other states in three key ways. There were shorter ramp-to-traffic signal distances from highway exits, fewer restrictions on commercial and residential development along ramp and frontage road intersections, and more opportunities for direct access to businesses from the frontage roads. As the state’s highway system grew and incorporated older roads, older bridges and culverts that remained in use were also often upgraded to carry more traffic and heavier loads. Concrete remained a popular bridge construction material across the state and country, and all-welded steel bridges were widely used for long spans to replace riveted steel. THD engineers experimented with light-weight decks that used synthetic materials to lighten structural weight. They introduced composite decks to allow superstructure beams and decks to work as one unit and made advances in techniques such as slip-form pavement sections for faster, less expensive construction. They used asphalt binder for stronger and longer-lasting roads, grooved pavement for safety in inclement weather conditions, and breakaway road signs to reduce injury and fatality in crash situations. THD also standardized interstate appearance with a color scheme and created breakaway road signs. These innovations allowed for massive transportation and infrastructure construction projects during this period of rapid growth in Texas. Click here for more information on the bridges from this era and the innovations and improvements made by pioneering Texas engineers. Since that time, engineers have continued to study road geometry, construction techniques, and materials to make Texas roads safe for the traveling public. 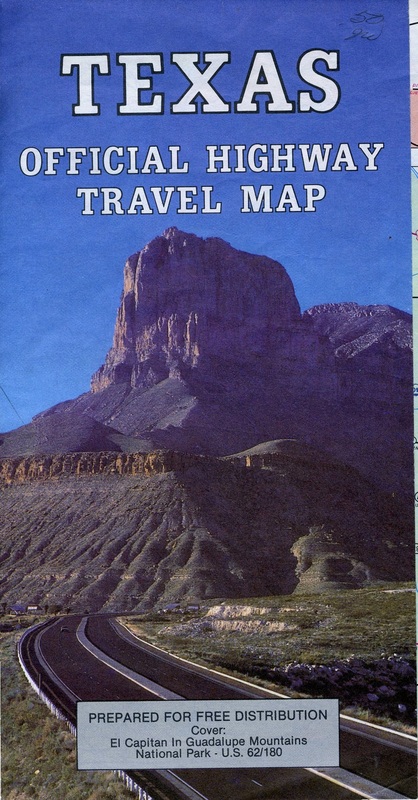 The Texas Highway Department's 1952 travel map featured the Alamo, a primary heritage tourism site. Photo from THC files.